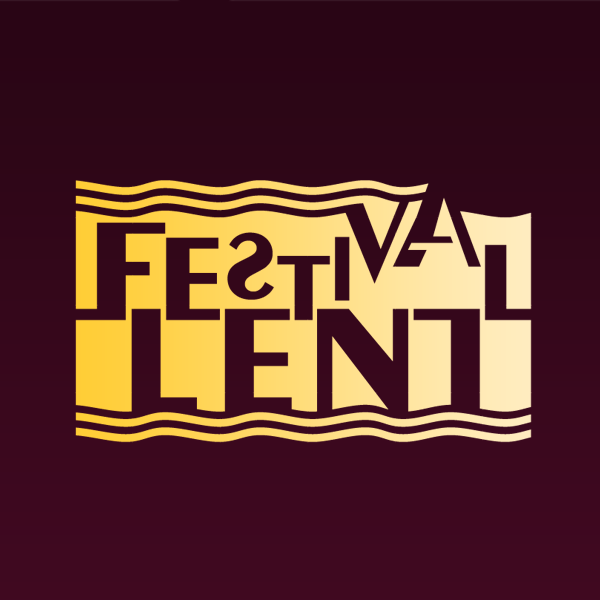 The 21st Festival Lent proudly presents the biggest names of this year’s festival that will bring Maribor to life. Uriah Heep is regarded as one of the influential rock acts of the early 1970s alongside the likes of Deep Purple and Led Zeppelin. Uriah Heep's distinctive music has always featured massive keyboard sounds, strong vocal harmonies and great guitar riffs. The band's repertoire features hits over four decades from the 70s through to the present day including tracks such as; Gypsy, Easy Livin', July Morning and Lady in Black. Lady in Black has been number 1 in Germany on no less than 3 occasions. Uriah Heepplay up to 125 shows a year impressing old and new fans around the world. According to their reviews and audience feedback, they are far from retiring. The trio was formed not in some vastly creative alternate universe, but rather in the neighborhood of Brooklyn, New York, known as D.U.M.B.O. (Down Under the Manhattan Bridge Overpass) in 1991. 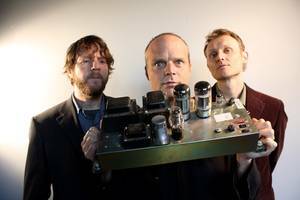 John Medeski, Billy Martin, and Chris Wood were looking to create music that reflected who they were, individually and collectively. The trio began experimenting with contemporary hip-hop beats that could swing as hard as jazz rhythms, yet remained essentially simple and propulsive, giving the musicians ample room to create hypnotic textures and sounds that were brimming with both improvisation and harmony. The trio's first Indirecto release, "Out Louder," is a four-way collaboration with guitarist John Scofield, which true-to-form is heavy on group improvisation, irresistible grooves, rich harmonies, and strong melodies. The group was formed in 1992 at the tavern of Josef Mnozil in Vienna. 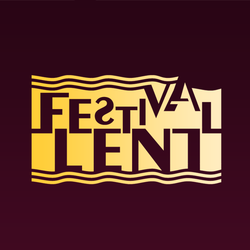 Starting with local performances the group steadily improved its performance thus finally arriving at concert and theatre stages and has been performing professionally since 2000. And since then they’ve been playing 120-130 concerts on average every year – all around the world. The band’s percussive influence began to manifest itself within the music of their contemporaries. The Osibisa poly-rhythms and percussive breaks were to be an integral feature of the disco boom that was to follow in the late 70’s. Its unique fusion of African, Caribbean, rock, jazz, Latin and R&B paved the way for other potent music forces, such as, Bob Marley and the emergence of African music in the 80’s. 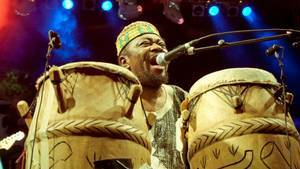 Indeed, Osibisa are seen by many as the Godfathers of World Music. For many years now, they’ve toured tirelessly, headlining numerous festivals and performing in every far-flung corner of the globe. Highlights have included a major tour of India, which resulted in a No.1 Gold Album: an unprecedented achievement for a Western band. 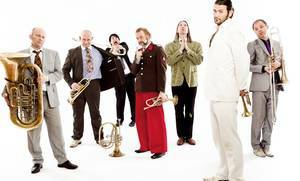 Che Sudaka was formed more than 10 year ago! Moreover the concert-counter is going to exceed the number 1.000: one thousand shows in 25 countries! 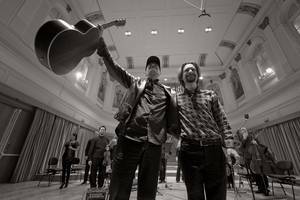 And with the release of their fifth official studio-album, the band begins a new leg not only in an artistic sense, but also on an organizational level. 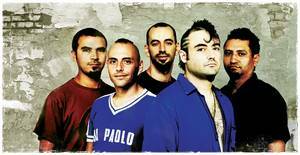 The Argentinean and Colombian musicians, who entered the Mediterranean seaport Barcelona without papers in 2000, managed to elevate Che Sudaka to a musical reference on an international level. Saxophonist Bill Evans joined Miles Davis and his band when he was only 22. They recorded 6 albums and performed all over the world. 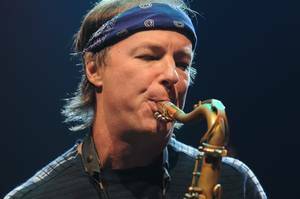 He later recorded music and performed with John McLaughlin and the Mahavishnu Orchestra, and shared the stage with giants, such as Herbie Hancock, Lee Ritenour, Dave Grusin, Steps Ahead and Mick Jagger, which won him several Grammy Awards. Since 1990, "the sax man" only goes on tour with his band and performs over 100-times a year. He recorded 19 solo albums and has received two Grammy nominations, one for the album Soulgrass. 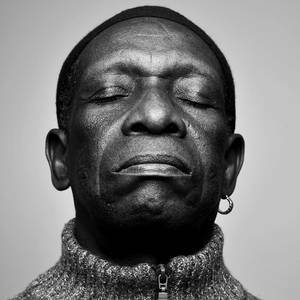 Born in Lagos, Nigeria in 1940, Allen has long been acknowledged as Africa’s finest kit drummer and one of its most influential musicians, the man who with Fela Anikulapo Kuti created Afrobeat - the hard driving, James Brown funk-infused, and politically engaged style which became such a dominant force in African music and whose influence continues to spread today. Originally called STASH, the group OPM was formed in 1998 and soon gained attention of major labels with their debut and until today most famous album “Menace to Sobriety”. 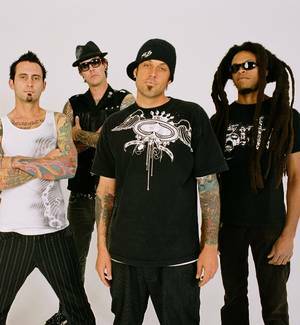 Over the last 13 years, OPM has shared the stage with Rancid, Limp Bizkit, Bloodhound Gang, Linkin Park, 311 and has performed on the main stage of major festivals such as Reading, Leads, BBC Radio 1 Big Weekend, Rock AM Park, Open Air, and more. Year 2013 will see new music from OPM, as well as extensive touring, a few surprises, and as always, they will continue to live up to their name, opening people’s minds. He became known by some in the music world in the mid-1980s mostly thanks to the huge success of Peter Gabriel's 1986 album So and his subsequent work with Sting on the albums …Nothing Like the Sun and The Soul Cages. 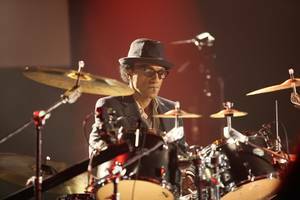 Since then he has been prominently featured in the pop, rock and world music scenes playing with numerous bands and artists, including Afro Celt Sound System, Jeff Beck, Al Di Meola, Tears For Fears, Eurythmics, Simple Minds, Dire Straits, Jan Garbarek, Manu Chao, Loreena McKennitt, Youssou N'Dour, Robbie Robertson, Joan Armatrading, Joe Satriani, Tori Amos, Richard Wright, Kyle Eastwood, Ryuichi Sakamoto and the aforementioned Peter Gabriel and Sting, with whom he has also toured extensively. He is also known for collaborating with the Croatian singer Gibonni. Damir Urban has been present on the Croatian rock scene for quite a while now. 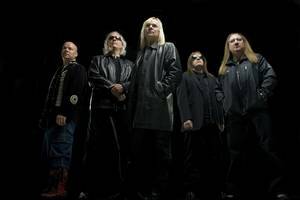 In 1986 Urban was part of another band as a vocalist, Laufer, one that defined the Croatian rock scene of the early 1990s and attracted the attention of Croatian rock lovers and the media. 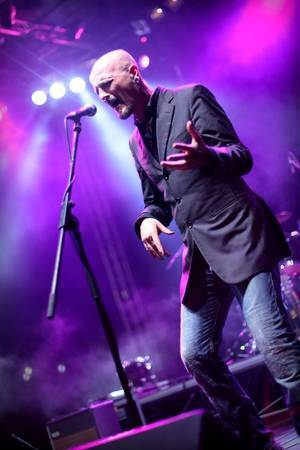 Damir Urban released his first solo album in 1996, entitled Otrovna kiša (Poison Rain), to critical and commercial acclaim. The album produced hits such as "Astronaut", but the highlight of his career was yet to follow. 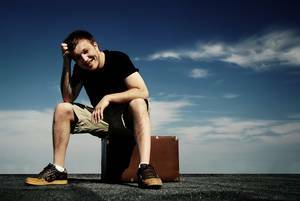 Edo Maajka, his real name being Edin Osmic, is a synonym for hip-hop/rap artist on the Balkans. After his 'best of' album, "Spomen Ploca " (A Memorial Board) from 2010, Edo has just released his sixth studio album: "Strajk Mozga" (Brain Strike), previously announced with singles "Imas Ti Sta Para?" and "Panika". One of the most prominent acts of Belgrade’s new rock scene are Repetitor, founded in 2005. They faithfully carved their signature sound, a blend of heavy rock’n'roll, post-punk and everything in between, and undoubtedly managed to raise the bar with their debut “Sve što vidim je prvi put” (Everything I See Is For The First Time), released by Odličan Hrčak in 2008. 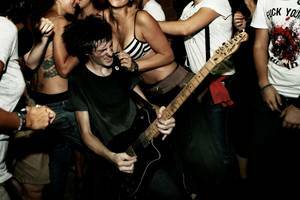 Attempts to find a direct musical influence may prove to be a difficult task, but an attentive listener will recognise similarities with variety of bands, from early Mudhoney, Šarlo Akrobata, Fugazi, Sonic Youth, Pixies and early Nirvana all the way to Black Sabbath or even Suicide. That may sound irreconcilable at first, but Repetitor does it with ease and brings a sonic experience that can hardly be more enjoyable. The kaval, an eight-hole wooden “shepherd” flute, is one of the oldest instruments in Europe, rich in tone and technical possibilities. 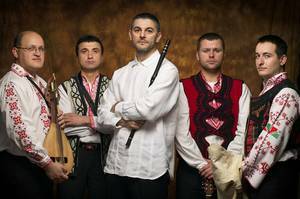 TheodosiiSpassov has developed his own unique style of playing the instrument by synthesizing traditional folklore with jazz, fusion and classical music. At home in Bulgaria, Theodosii Spassov is national figure and musical hero, and was recently honored with the”Music Artist of the Year” award. He is the Artistic Director of the world-renown “PHILIP KOUTEV Ensemble Of Music, Drama And Dance”.